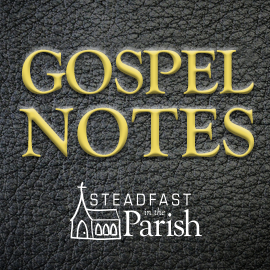 Lambs at Pasture for the Eighteenth Sunday after Trinity and its Answer Key are now available for download. 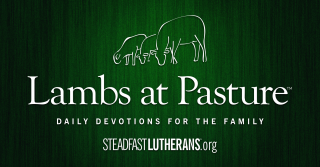 The repetitive nature of Lambs at Pasture aids in familiarity and memorization of key passages. This is especially true when used in conjunction with the Daily Prayer meditation found in the Lutheran Service Book (page 295). The Small Catechism page numbers are from the ©1991 ESV version of Luther’s Small Catechism with Explanation. Please note that while the question numbers are the same on the ©1991 NIV version, the page numbers may not be correct. 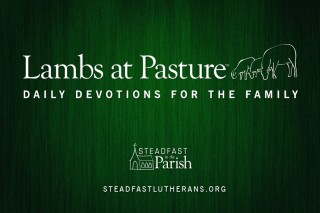 For more information about Lambs at Pasture, please see the introduction blog post. 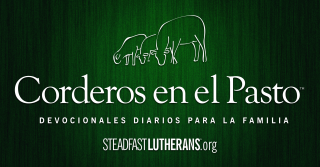 If you would like to receive an email when the next edition is ready, please sign up here. Corderos en el Pasto XXXX y sus Claves para las Respuestas están disponibles ahora para ser descargadas. Existe un retraso en la traducción de la edición en español. Por favor perdóname para los inconvenientes que esto pueda ocasionar. Los enlaces se agregarán tan pronto como sea posible. La naturaleza repetitiva de Corderos en el Pasto ayuda a la familiarización y memorización de los pasajes claves. Para mayor información sobre Corderos en el Pasto, vea por favor el blog introductorio. Si desea recibir un correo electrónico cuando la próxima edición esté lista, regístrese aquí.